It’s not often you get to see a sports star of the future in action – particularly in a sport which has been dominated at the Olympics by one nation for almost 30 years. But the 10 year old boy who was being coached at the table tennis table next to mine is one of the top players in the UK for his age group, and could follow in Paul Drinkhall’s footsteps. I’d been thinking about playing at the table tennis table in my local park but Eddy (my dragon boat coach and demon table tennis player) suggested playing outside in January might be tricky. 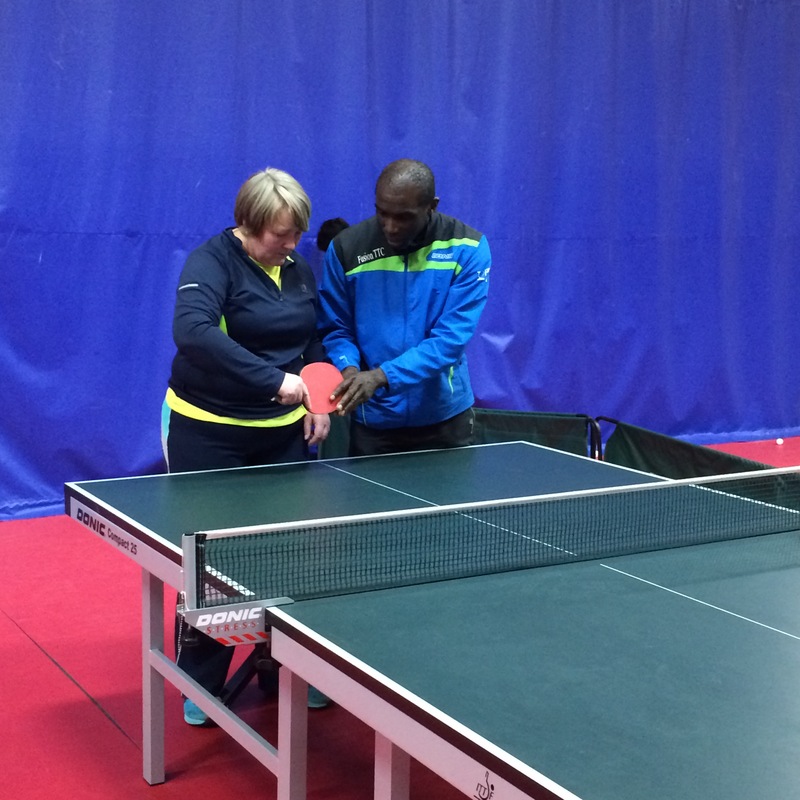 I took his advice and contacted Duncan at Table Tennis England. 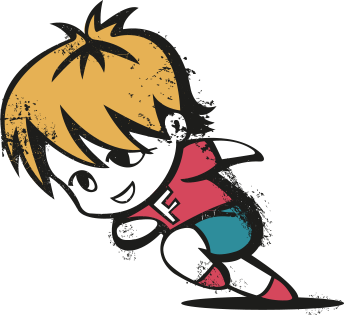 And he suggested Fusion Table Tennis Club, a community club run by a handful of volunteers, might be a good place to introduce me to the sport. Which is where that 10 year old boy trains. The club’s based on a small industrial estate in the shadow of Millwall Football Club, and shares an industrial unit with basketball club London Thunder. Des, one of Fusion TTC’s volunteers, explained it was a temporary arrangement for the next three years while the site is developed. She said the developers plan to include sports facilities (including table tennis and basketball) in the completed development so everyone’s keeping their fingers crossed things go smoothly. 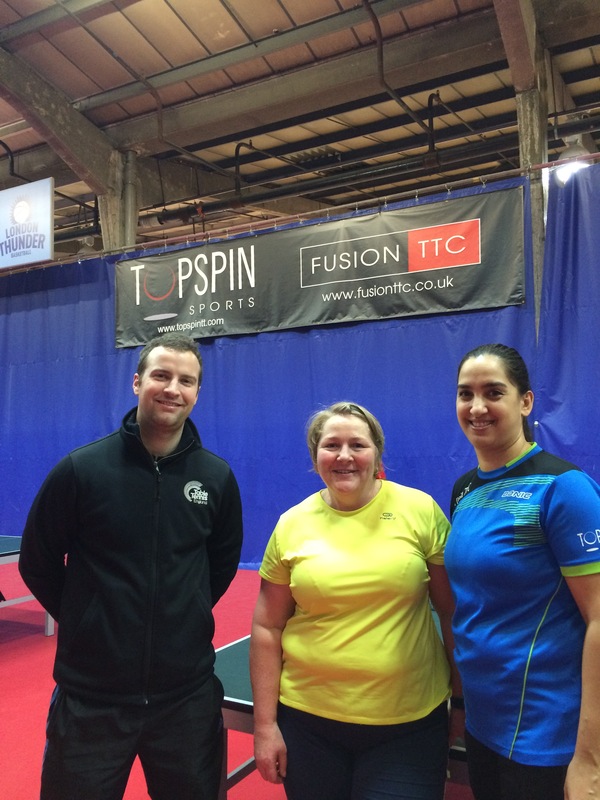 Fusion TTC runs a mix of open and coaching sessions throughout the week so there’s plenty of scope to improve your game – whether you’re a beginner, like me, or a more experienced player wanting to hone your skills. The club has about 100 members and most of them play at least twice a week. The youngest member is seven and the oldest is 74. And the club’s volunteers are keen to build the membership. We talked about the challenge of getting girls interested in sport and keeping them interested, shared some ideas of how to target people, and the difficulty of trying to do so much as volunteers. But we weren’t there to talk. Des found bats and balls and led us to a table – almost every other table was now busy. She showed me how to hold the bat and explained the rules: players must allow the ball to bounce once on their side of the net before returning it, points are scored if a player is unable to return the ball, or if a player hits the ball ‘out’ of the court, ie it does not bounce on the table. A singles match is played over the best of seven games, with the first player to 11 (by a margin of two) winning each game. But Des wisely decided we’d start with a ‘knock’ rather than a game, and showed me how to play backhand. We knocked the ball over the net a few times when coach John took a break from coaching the 10 year old on the next table to suggest how I could improve my game by changing my stance. He pointed out I was standing at right angles to the table which meant I was swinging wildly at the ball and often missing it. He made me stand facing the table and got me to move my arm vertically in front of me. Suddenly I was able to return Des’s serve and there was an outbreak of rallies! Which meant Des upped the pace and the game became faster – not as fast as the games on the tables either side of us but enough for my face to get red and shiny. After a while Des decided to raise the game and showed me how to play forehand. I struggled, and coach John stepped in again to show me how to stand and move my arm up and across my body. And it made all the difference. Des even pointed out I was making her move around the table – which may have been down to luck rather than design on my part. Then it was Duncan and Trace’s turn. 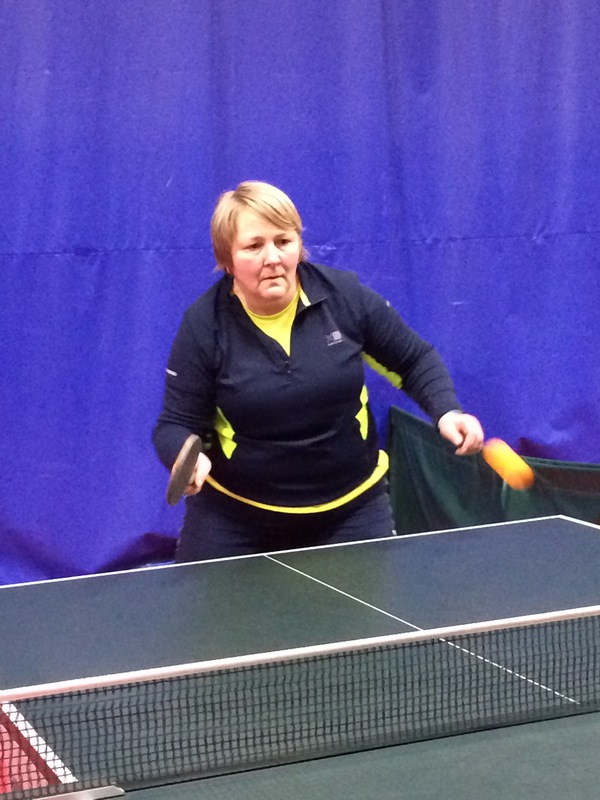 Trace had come straight from work but her work clothes and shoes didn’t seem to affect her table tennis prowess and before long she challenged me to a game. The record for the most number of balls hit back and forth in 60 seconds was set by Jackie Bellinger and Lisa Lomas in 1993: 173. That record remains unchallenged by the game we played. While we’d been playing I’d heard a volunteer call out ‘change’ every 20-30 minutes and Des explained this was to encourage players to move to a new table and play a different opponent. A good system to challenge players and build relationships on and off the tables. We’d arrived at Fusion TTC at 6pm and I’d lost track of the time until Trace pointed out people were waiting to play and we’d been there almost two hours. It was time to give the table to some regular players, pose for a few more photos, and thank our hosts Des and Duncan. After playing for two hours I realised table tennis improves your hand-eye coordination and your reflexes, is easy on the joints, and gives your upper and lower body a good workout. For anyone looking to get some exercise into their life – whether recovering from illness or trying to move more – I’d recommend it as a good entry level activity. And the best thing about the game: it’s so social! You can chat while you play, as fast or as slow as you want. 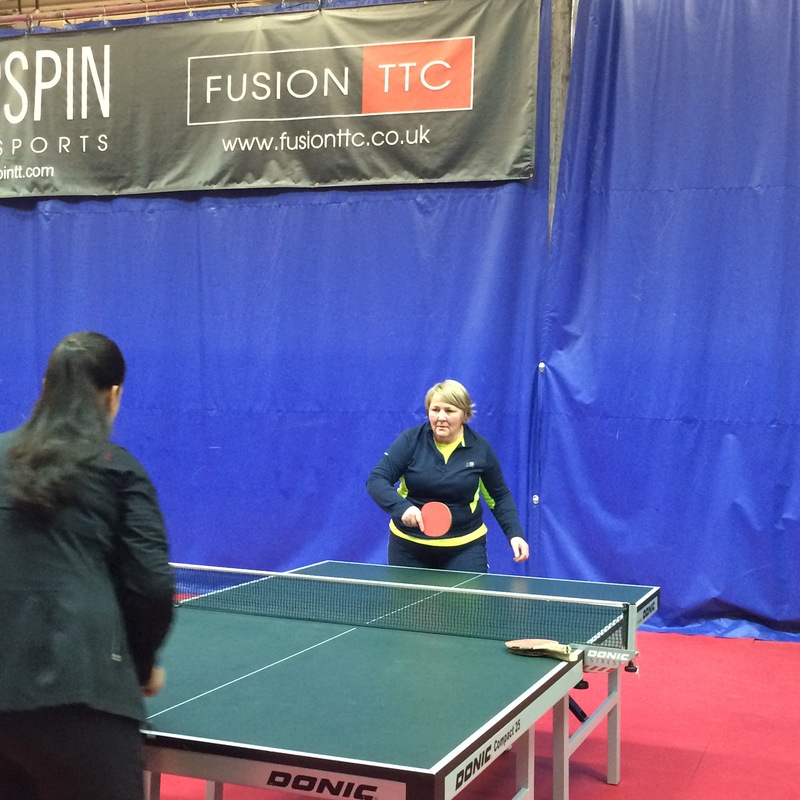 I’ll be back to play at Fusion TTC and I’ll be checking out the outdoor tables Ping England organise each summer. If you fancy joining me, let me know.